Salman Khan's Eid offering Tubelightis flickering and buzzing on its way to make 100 crores at the box office. Tubelight hit screens June 23, the Friday preceding the Eid weekend and has made a shade under the coveted Rs 100 crore mark in five days, reported trade analyst Taran Adarsh. 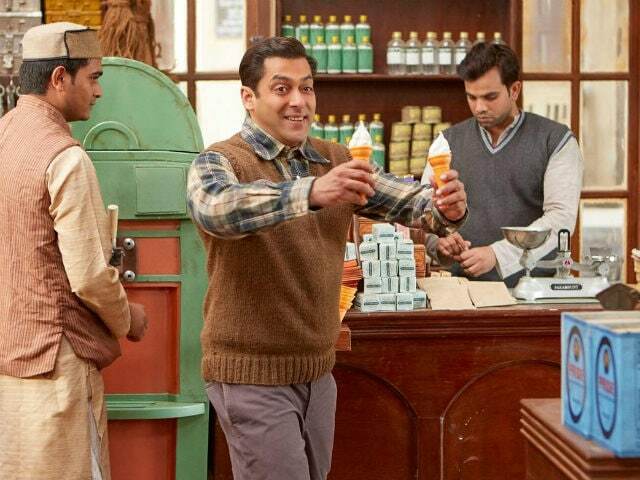 The box office score of Tubelight is Rs 95.86 crore and counting, tweeted Mr Adarsh, along with a day-wise break-up of the movie's collection figures in terms of ticket sales. Making over Rs 90 crore in five days is an admirable box office performance but not when it comes to Salman Khan's Eid releases. According to Mr Adarsh, Tubelight has recorded the lowest opening day for all of Salman's films which released on Eid since 2012. #Tubelight Fri 21.15 cr, Sat 21.17 cr, Sun 22.45 cr, Mon 19.09 cr [Eid], Tue 12 cr. Total: Rs 95.86 cr. India biz. Tubelight has mostly been reviewed as failing to live up to the hype that was created ahead of the film's release. In his review for NDTV, Raja Sen writes Sohail Khan put up a better show that his superstar brother. "This time, it's Sohail Khan's turn, and he gets to outshine his celebrated brother simply by keeping a straight face. Tubelight is a Salman Khan film that kept me longing to have Sohail back on screen, and those are words I'd never thought I'd type," wrote Mr Sen.
On the day of the film's release, Mr Adarsh tweeted that while Tubelight is expected to have a great extended weekend for Eid, it is doubtful if the Kabir Khan-directed film will manage to score figures like Rs 300, 400 or 500 crores. #Tubelight will have an awesome weekend extended weekend [Eid festivities]... Will it touch Rs 300 cr, Rs 400 cr, Rs 500 cr? I doubt! Tubelight is Salman Khan's third movie with the director. It is said to be based on the Hollywood film Little Boy and set against the backdrop of the 1962 Indo-Sino war. This also marks Om Puri's last film and features a cameo by Shah Rukh Khan. Chinese actress Zhu Zhu and eight-year-old Matin Rey Tangu also join Salman and Sohail on the Tubelight cast.